It’s April 22. A huge day, as you all well know. It’s, after all, the Feast Day of St. Arwald of the Isle of Wight. Oh, wait. Maybe that’s not what you’re thinking. April 22??? Something, something. . .
Oh yes! Eart. . .
No, Record Store Day. That’s it. Record Store Day! No offense to St. Arwald. He was pretty cool. Checker Records, Hillsdale. Photo courtesy of the Hillsdale Collegian. But, Record Store Day is the day we celebrate the local record stores, owned by families, groups of friends, and entrepreneurs who struggle against the collosal entities of the box stores and the cyber corporations. If you do nothing else today, please buy something from your local record store. My local record store is Checker Records–run by wonderful people and serving excellent coffee as well as good conversation and good humor. When I found out several weeks ago that Rush would be releasing a special Cygnus album only for Record Store Day, I immediately contacted Checker Records. Yep, they told me, be there by 8. Sadly, my enthusiasm got the best of me, and I kind of jumped–somewhat rudely–in front of a really nice couple who had beat me into the store. When they kindly asked me what I was doing (frankly, if someone had done that to me, I wouldn’t have been nearly as kind). More than a bit embarrassed, I said, “Oh, I’m sorry! I’m just so eager to get the Rush release for today.” After all, I’m a Kansas boy. We’re not good at being ill-mannered. “Oh, you’re a Rush fan. Well, ok,” they answered. It was wonderful. And, sure enough, the three of us dug through the releases, and they found a copy for me. How great is that? Me the jerk, they the kind! We talked for a bit, and it turns out they’re spending the day cleaning the sides of our local highway and then mushroom hunting. Very cool people. Unfortunately, I didn’t get their names. But, if they happen to read this. . . . I wish them the best, and I hope to see them again. I also hope they find some really great mushrooms. Anyway, thank St. Arwald for the great folks at Checker Records. So, here I am, and it’s not even 9:30 in the morning, and I’m thoroughly enjoying this remixed and remastered version of Rush Cygnus, Books I and II. Well, if you live in Hillsdale, make sure you shop at Checker Records. If you live elsewhere, please give your business to the local record store. These people are true entrepreneurs, and they deserve all the support we can give them. And, you might even find that the Nietzchean struggle between Apollo and Dionysus has a solution. Good old Cygnus. He really never fails us. And, if you want more progarchy on Rush, here’s a handy list! Sir-Brad……………..I LOVE your writing!!! I LOVE You as a Progger!!! I LOVE You as a human-being!!! 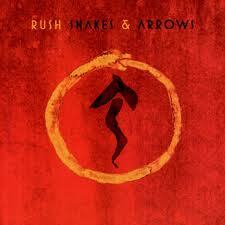 But LORD Help you,had You cut yourself in front of ME,to get the NEW Rush-Cygnus album!!! LOL.